We Pay CASH for Blu-Ray Players and DVD Players!! Currently we are looking for Blu-Ray Players of all types! 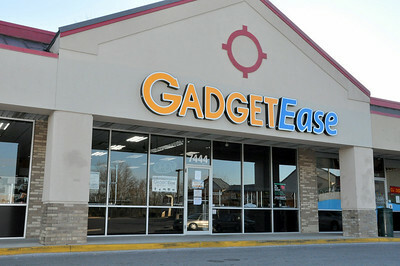 If you have a Blu-Ray player that you no longer use, bring it to GadgetEase and get paid TODAY!! Please remember to bring in your remote control! Blu-Ray Players As Low As $50**! **We always carry a large selection of DVD players however Blu-Ray Players sell very quickly so you may want to call ahead to ENSURE we have one in stock!! 1. Netflix and/or Pandora Streaming Radio Capability is Really Nice to Have so you can leave your computer freed up for other things. 2. 3D players are more expensive however prices are falling and there are relatively few number of good titles out (requires 3D TV). 3. DVD disc changers and carousels make it easier to have a variety of content ready to play without fumbling with disks. 4. On DVD players Look for HDMI outputs which will indicate a newer player. If you have a high definition TV make sure player at least has component outputs. 5. Some DVD players and blu-ray players will have separate outputs for each speaker channel to connect to dedicated amplifiers.